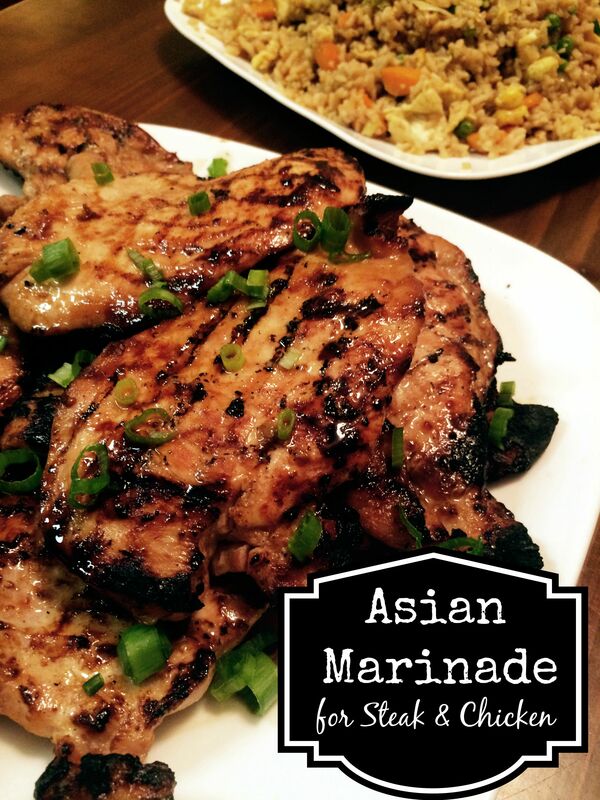 This Easy Asian Marinade is a cinch to put together and made up of ingredients we always have on hand in our pantry! Minimum time and effort, maximum amount of flavor. We love to serve it with fried rice! I surprised my hubby with the Weber Grill last week that he has wanted for a long time. Since then, we have been grilling a lot! 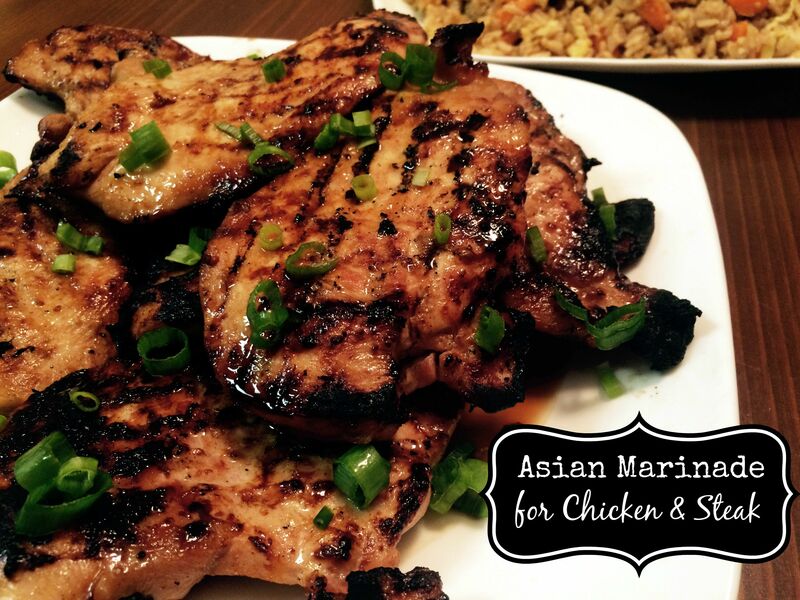 We LOVE this marinade for grilled Asian Chicken or Steak. We always stock up on top sirloin or flank steak when it is on sale. It is a great cut of beef for marinating overnight and grilling. If you use this marinade on more expensive cuts of beef, such as ribeye, filet or new york strip, I would only recommend marinating them for a couple of hours. Chicken, of course is marinaded overnight for maximum flavor. Combine ingredients in a large ziplock bag. Place meat inside bag and move it around to make sure its evenly coated. Marinade overnight for chicken, top sirloin or flank streak or 2 hours for ribeye, ny strip or filet. Grill. We like to sprinkle with a little garlic salt and garnish with green onions after grilling.